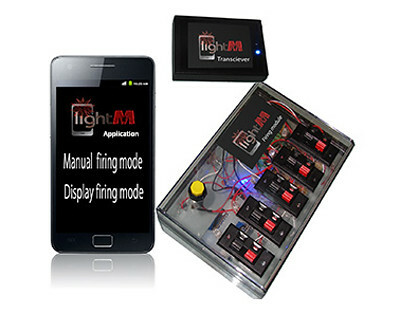 May I introduce to you the lightM consumer firing system. As far as I’m aware, (and please correct me if I’m wrong) this system is a worlds first as I don’t know of any other firing system that allows you to light the pyro via a smartphone. Simply, set up, sit back and lightM! The system can also be used on tablets as well as smartphones and makes it safer and far more enjoyable for lighting your fireworks with your family and friends. View the video below for more details. The epic fireworks team would like to thank both Yuval and Elad Dagan for sharing their amazing idea and we wish them all the very best for the future.